The crime seemed to have lost itself in the sleety cold of the December midnight upon which it was committed. The trails were not blind–there were simply no trails. The circumstances baffled explanation–a lone woman entering an empty taxicab; a run to a distant point in the city; the discovery of the woman’s disappearance, and in her stead the sight of the dead body of a prominent society man–that, and the further blind information that the suit-case which the woman had carried was the property of the man whose body was huddled horribly in the taxicab. 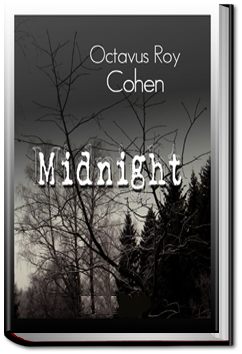 This entry was posted in Reading and tagged allyoucanbooks, audio books free download, ebooks, free audio books, free books, free online audiobooks, free online books, unlimited crime books on July 26, 2014 by all-you-can-books. When a small boy in Iowa forwards a mysterious email from ‘God’ to a small group of friends, he unwittingly releases a trigger that sends blood pouring throughout his farming community. Thousands more are dead across the country in dozens of simultaneous terror attacks and the government blames fundamentalists who want to trigger the Apocalypse. FBI Agent Joe Unes reluctantly teams with reclusive Internet radio host Barney Ison to expose the plot – and discovers that the enemy is not of flesh and blood. This entry was posted in Reading and tagged allyoucanbooks cancel, download free audio books, free audiobook downloads, free e books, free ebooks, unlimited crime books, unlimited ebooks on July 23, 2014 by all-you-can-books. Unwitting participants in a secret human cloning experiment, these seven “John Michael Smiths” have been gathered by their creators for one reason — to capture the mastermind behind the president’s assassination. Soon our heroes — John, Jack, Michael, Kilroy2.0 and the others — realize the president’s murder was merely a prologue to Alpha’s plans. As the mystery deepens and the implications of Alpha’s scheme are slowly revealed, the clones decide to stand against John Alpha. 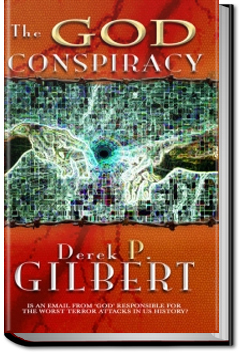 The outcome will unearth a conspiracy larger than they could have ever imagined. 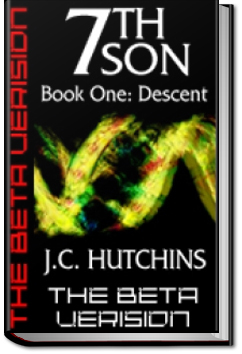 Descent is the first novel in J.C. Hutchins’ 7th Son thriller trilogy. 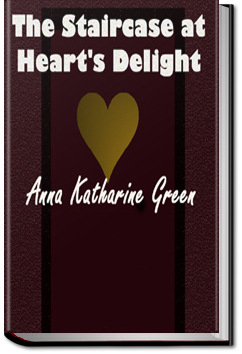 This entry was posted in Reading and tagged allyoucanbooks cancel, download free audio books, free audiobook downloads, free e books, free ebooks, unlimited crime books, unlimited ebooks on July 16, 2014 by all-you-can-books. Detective Ebenezer Gryce tells the story of the case with which he begun his career in 1840. Several wealthy men were drowned and washed ashore in New York City, and the first clue leads to a dubious money lender. This entry was posted in Reading and tagged allyoucanbooks cancel, download free audio books, free audiobook downloads, free e books, free ebooks, unlimited crime books, unlimited ebooks on July 8, 2014 by all-you-can-books.